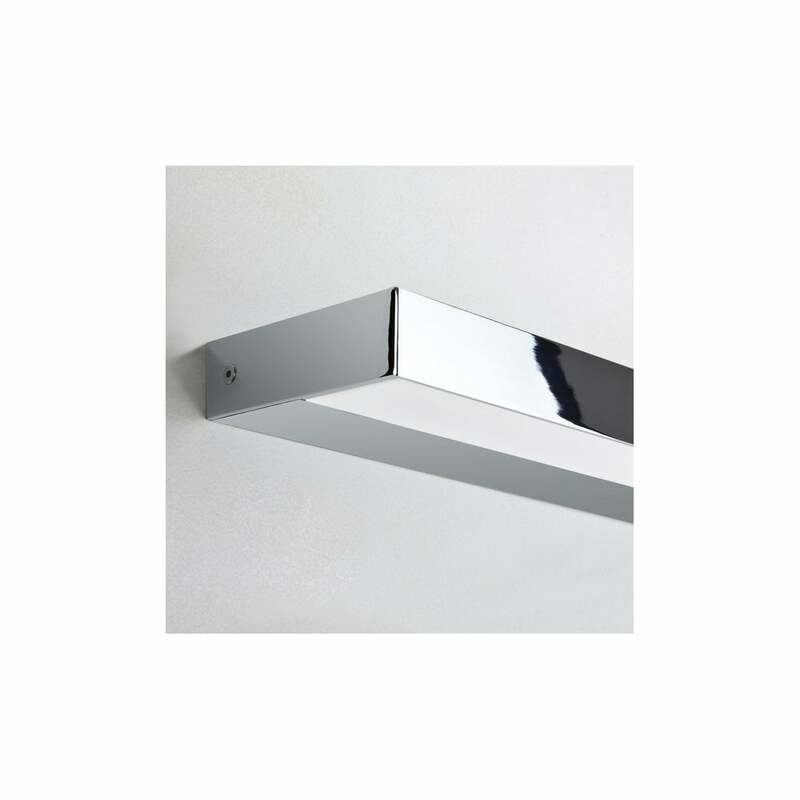 Astro Lighting Axios 300 single light LED wall fitting features a slimline rectangular designed polycarbonate light diffuser in polished chrome finish. The product code for this Astro Lighting wall fitting is 8180. The bright LED lamp strip provides downward projection of light and is ideal for sleek modern bathrooms. IP44 rated safe for bathroom use in zone 2 and 3 and includes integral LED driver and is double insulated. This contemporary design is also available in 3 larger sizes which can be ordered via our website using product code: 7973.